There’s only one platform for you. This is Appian. 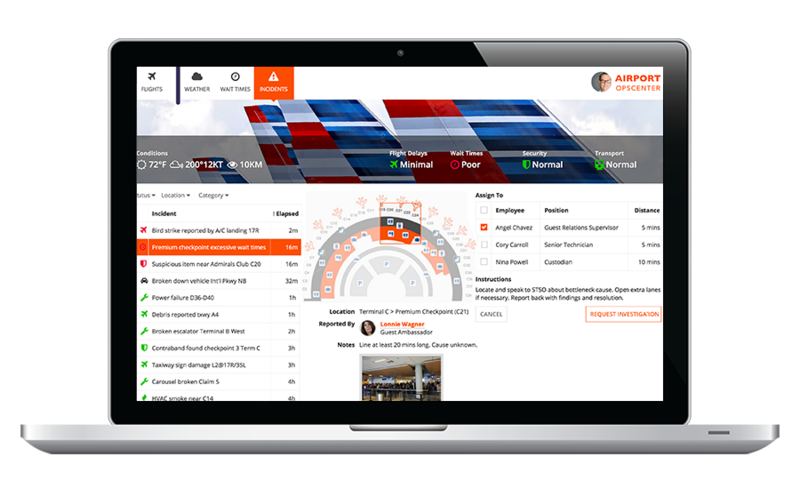 The Digital Transformation Platform™. Learn why Forrester named Appian a Leader in low-code platforms. In the now-now-now economy, how can your business keep up? By building powerful business apps…fast. Low-Code from Appian makes it happen. Point-and-click and drag-and-drop replace manual coding for visual design that’s more like drawing than coding. Build that app and launch it immediately with a click. Plus, as soon as you deploy, it works as expected on virtually any device with Appian’s patent-pending SAIL technology. Integration used to be a killer. With Appian’s low-code Integration Designer, you’ll connect to enterprise systems in less time with less effort than you ever imagined. With Appian Quick Apps, go from an idea to a working business app in minutes without a single line of code. It’s that fast! Business Process Management and the automation it delivers are key to operational efficiency. But, BPM also drives more growth, manages governance, risk, and compliance, and improves customer and employee engagement. What’s not to love? 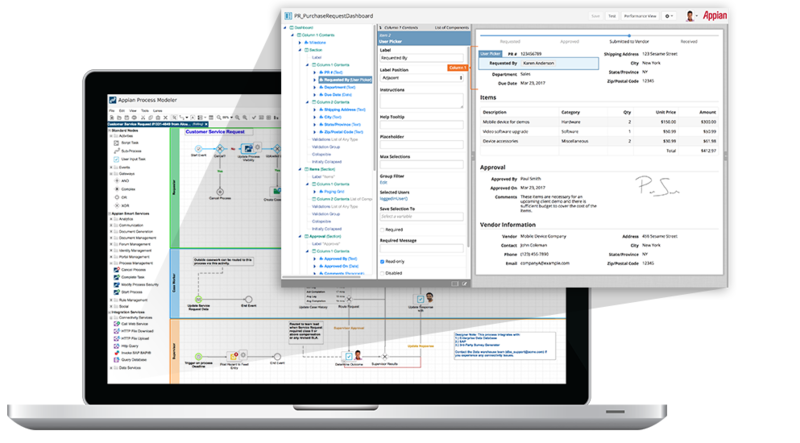 Model processes that drive powerful apps with a low-code process modeler driven by BPMN-notation. 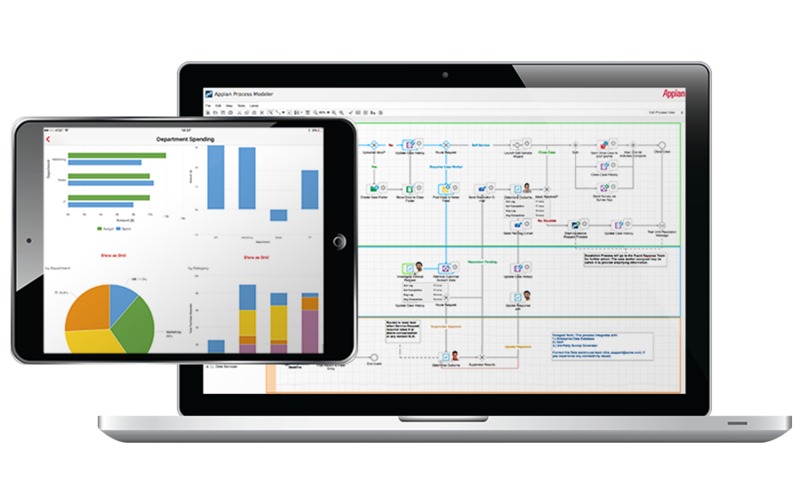 Create process automation that can transform your business. Eliminate reliance on old-school paper forms and speed operations. Dynamic Business Rules embed process automation in your apps, ensuring consistency and reinforcing organizational structure. Automated testing, predictive analytics, dynamic reporting, business activity monitoring, and more keep your processes continually optimized and your apps in tip-top shape. It’s the reality of today’s world. You can always be more secure. Appian has more security certifications so you feel more secure. Why? Because you are. 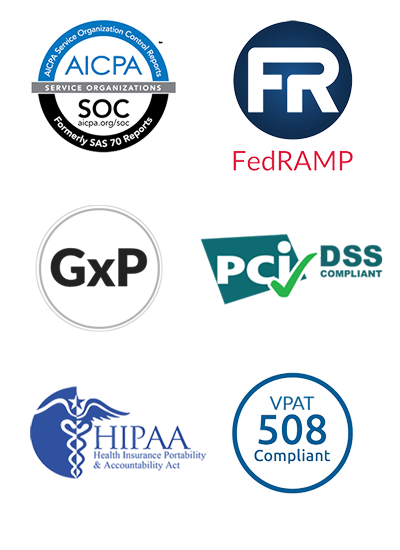 Appian Cloud has a comprehensive security and compliance program that meets more industry standards than other aPaaS vendors. Appian undergoes frequent and regular third-party audits to validate controls are operating effectively to protect customer data. What happens if a user mistakenly uploads a virus-corrupted file to your app? With Appian, nothing. Included virus protection means your apps…and your enterprise…stay healthy. With advanced business activity monitoring and other governance capabilities, Appian helps you keep your business running as expected. Appian Cloud supports some of the largest businesses, institutions, and agencies in the world. Scale as needed. Know it’s on. And always be running the latest release…with Appian Cloud. With proven results across mission-critical use cases, Appian’s experience means you can focus on what really matters…your enterprise. Appian’s high availability offering has a recovery point objective (RPO) of 1 minute and a recovery time objective (RTO) of 15 minutes, both top-of-class.